I saw this headline and I had to think of the gentlest way to say this. First, sexual assault on any woman is no joke. But sexual assault from Steven Seagal is downright dangerous. I’ve seen him deal with terrorists and ninjas, even ninja-terrorists. You’re talking about the deadliest monotone in all of Hollywood. You thought BenRoethlisberger was bad? 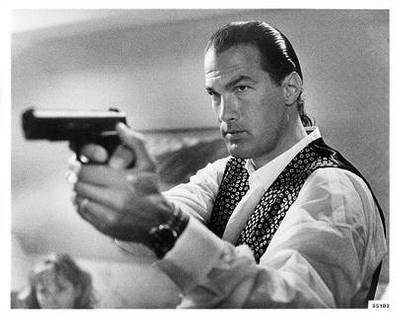 Well Roethlisberger doesn’t have the disarming charm, boyish good looks, nor the mastery of the martial arts that our friend Seagal does. Pray for us all. last month and being afraid to tell him.